Coffee is consumed in all corners of the world. The flavors vary as much as the climates in which the beans are grown, and there is a culture associated with every cup. Here in the district, we’ve got an extensive array of cafes at which one can order, stir, sip, repeat. While matcha is having its (lengthy) moment, roasted beans ground fine and pressed with a gush of hot water running through them has never lost its luster. There’s many ways to enjoy coffee – poured over, espresso-ed, French press-ed, cold brewed. 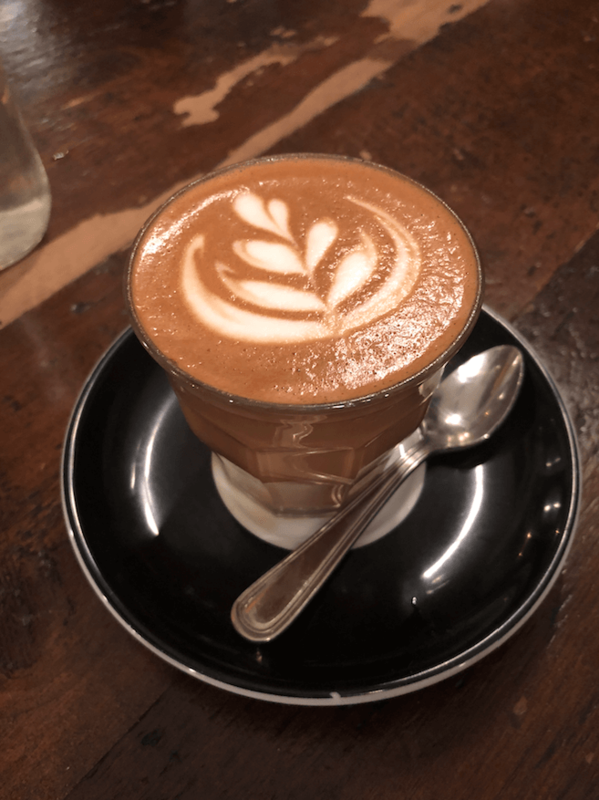 This tour takes us through coffee shops in the district with a focus on the cortado. A common afternoon drink in Southern Europe, it can be found all over New York City, too. 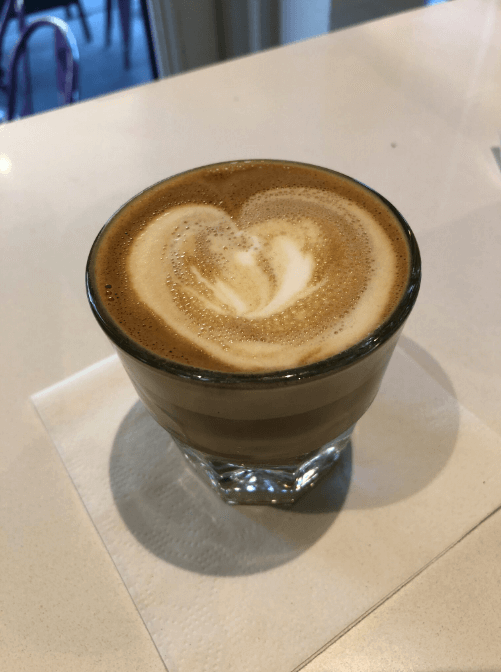 By definition a cortado is 1:1 espresso to steamed milk with a touch of foam – part of that line up of espresso with a changing level of milk and foam: latte, cappuccino, macchiato, and the cortado. 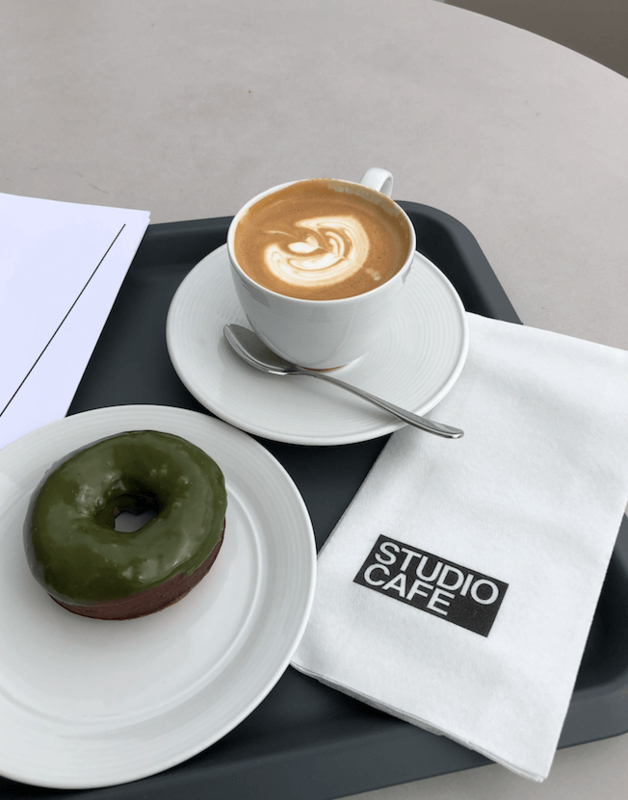 A dessert café on Hudson Street just south of Gansevoort, they have a coffee menu that compliments their famous brownies, cookies, cakes, and ice cream offerings. The cortado is served in glass, balanced, and enough foam to leave a mustache if you go in for a big starter sip. It’s also a hotspot for kids and families wanting a treat after running around the playground or getting out of school. No, Ninth Street doesn’t run through the district, but Chelsea Market has an outpost of the east side favorite. The coffee bar in a bustling food hall is more than a café, the rough stone counter is a perfect pitch post to enjoy an afternoon boost. 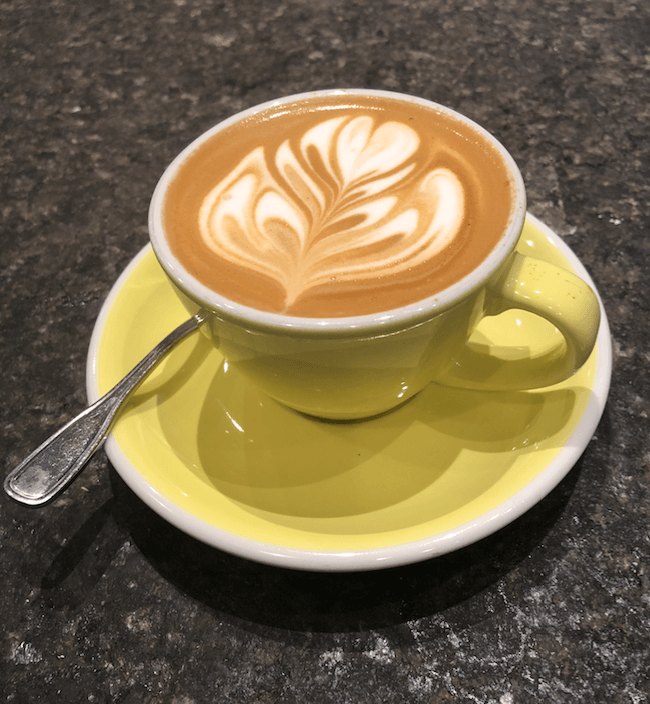 Served in yellow porcelain, the foam design is thick and lasts until the last sip. This coffee-only café also refers to them as a “short,” but they know cortado just the same. The Ninth Avenue speakeasy boasts it all – coffee, food, booze – with a steady and often loud stream of beats to brighten your mood while knocking one back. Served in glass, of those tried in the neighborhood, it has the least amount of foam. This is also dependent entirely on the barista preparing the drink, but for the purist it may be one to try. Dropping by the Whitney Museum will fulfill more than just your craving for American art. On the museum’s top floor is an art admiring-appropriate café for snacks, teas, coffees, and wines. 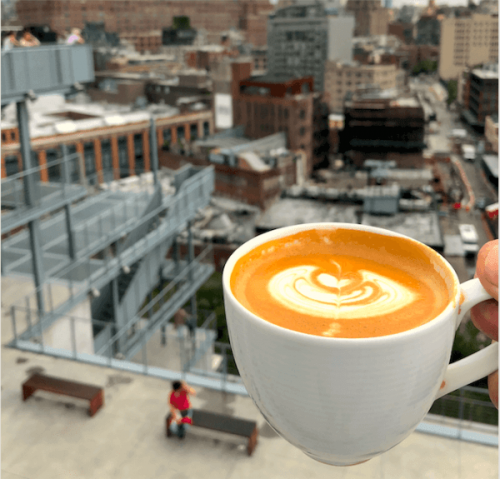 It’s coffee with a view, served in crisp white ceramic – so it goes with everything. It is said the museum should be explored from the top floor down, so ride the elevators up, catch a quick coffee buzz, then peruse about the galleries floor by floor.